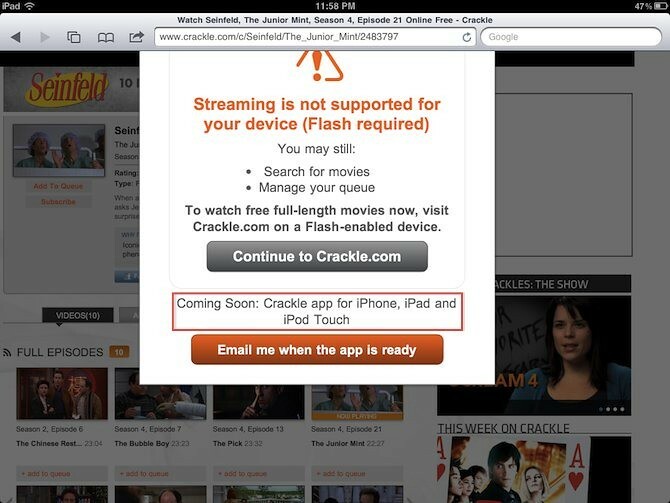 iPhone, iPod touch and iPad owners will soon have access to Sony’s growing library of free movies and TV shows on Crackle.com. We just saw the news when browsing to the service on our iPad. Crackle is a growing collection of Sony’s library of TV shows and movies including some recent hits and well as B-listers. The content is monetized with ads just like Hulu. Currently, the service is only available via Flash. Safari finally gets do-not-track feature!